Napoli and former Real Madrid star Gonzalo Higuain was born into a special family. Last summer they went to Rio de Janeiro for the World Cup final. One of them was playing and the others were watching. This remarkable family – an artist, a drummer, two footballers, one agent and one very proud ex-footballer – hope to have another outing this year, to Warsaw, for the Europa League final. It all depends on the most famous member of the Higuain family, the Napoli striker Gonzalo. This “quiet, polite, hard-working boy” spearheaded Argentina’s attack at the World Cup and will lead Napoli’s front line in Thursday’s Europa League semi-final, second leg against Dnipro. If he scores, Napoli will have a great chance of making it to Poland on May 27 – because they have not lost one of the 36 matches in which Higuain has scored since he signed from Real Madrid two seasons ago. Between them, the Higuain family have played for nearly all the top clubs in Argentina. One or another Higuain has featured in La Liga, Serie A, the Turkish Superlig, MLS, the Champions League, the Europa League, the Copa America and the World Cup final. The father is Jorge Higuain, who played in defence for San Lorenzo, Boca Juniors, River Plate and Banfield. His nickname was ‘El Pipa’; Gonzalo’s is ‘El Pipita’. Jorge and Nancy, the artist mother, married young and had four sons. Nicolas played two matches for third division side Defensores de Belgrano, but gave up when he realised he would not make the grade. He is an official Fifa agent whose clients include his brothers, Gonzalo and Federico, the latter playing for Columbus Crew in the United States. Lautaro, the youngest, is 23 and has chosen a career in music, playing the drums. Gonzalo was born in France, where Jorge played a season for Brest, but he was raised in Buenos Aires. 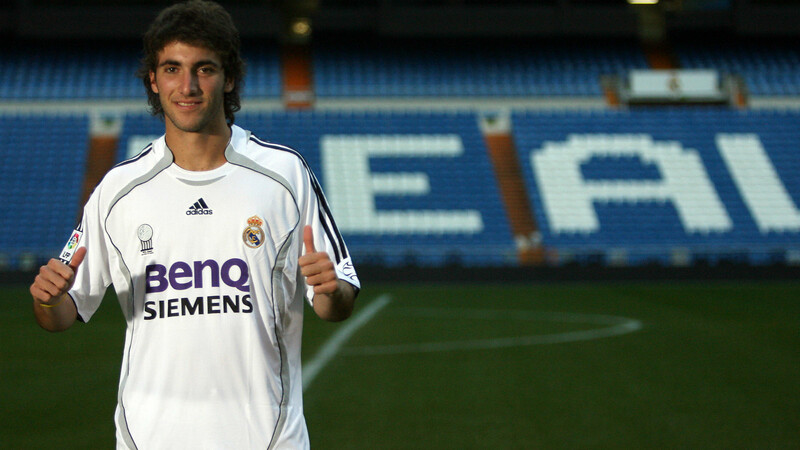 Gonzalo – who joined Real Madrid as a teenager – and his elder brother Federico grew up together at River Plate. While they were playing in the youth system they attended the club’s school, the Instituto River Plate. Federico, 30, is three years older than Gonzalo. He had a season at Besiktas but has spent the rest of his career the other side of the Atlantic, in Argentina and the US. He won the ‘best newcomer’ award in the MLS after he signed for Columbus Crew in 2012, and is happily settled there with his wife and family. Gonzalo, 27, and Federico, 30, never had any doubts that they would be footballers. “From the moment they woke up, to when they went to bed, they were playing football,” Jorge added. Gonzalo was a good student as well as a good footballer. “He was always lovely with his parents, a responsible boy,” said Jorge. “Nancy and I didn’t influence our kids to play football. ‘First, you have to study. And if you want to play football, nice too,’ we used to say. Give them a good education and good values was the main thing. “I was very proud when they both became professionals, we had a hug. I felt similar to my own father when I played my first professional game. And when Gonzalo won his first Argentina cap? There were “special moments” for Jorge when Gonzalo won the first trophy at Real Madrid [the Spanish title in 2007] and when Federico won promotion with Nueva Chicago. There could be another special moment in Warsaw, at the end of May, if Napoli can overcome Dnipro. This entry was posted in News on 14/05/2015 by mirsinho.